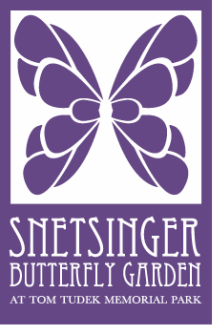 The Snetsinger Butterfly Garden is a living classroom that offers an ever changing backdrop for learning. 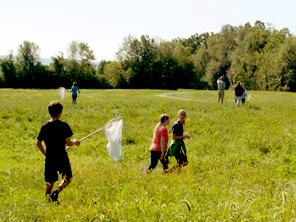 From our school satellite garden programs, to our summer programming, Master Gardeners provide a variety of on- and off-site educational events, activities, and opportunities to teach environmental stewardship. Watch this website for announcements about upcoming summer programs. 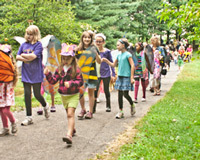 Children dress as their favorite pollinator and are the stars of the show during our Pollinator Parade, "Wings in the Park" 2016. Every September we say farewell to the Monarchs as they make their way south to overwinter in Mexico. 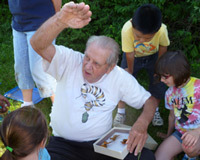 Master Gardeners support a series of Monarch tagging events where children (and adults too!) 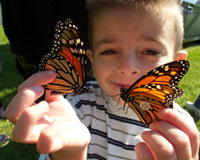 are encouraged to catch and tag Monarch's so we may better understand their migratory habits.